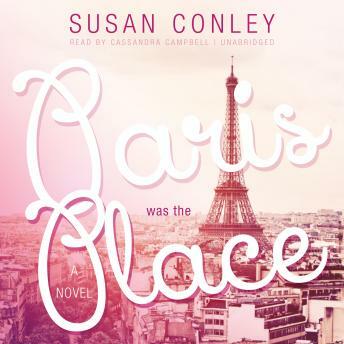 From acclaimed author Susan Conley comes a novel that gives us a luminous emotional portrait of a young woman living abroad in Paris in the 1980s and trying to make sense of the chaotic world around her as she learns the true meaning of family. When Willie Pears agrees to teach at a Parisian center for immigrant girls who have requested French asylum, she has no idea it will utterly change her life. She has lived in Paris for six months, surrounded by the most important people in her life: her beloved brother, Luke; her funny and wise college roommate, Sara; and Sara’s do-gooder husband, Rajiv. And now there is Macon Ventri, a passionate, dedicated attorney for the detained girls. Theirs is a meeting of both hearts and minds—but not without its problems. As Willie becomes more involved with the immigrant girls who touch her soul, the lines between teaching and mothering are blurred. She is especially drawn to Gita, a young Indian girl who is determined to be free. Ultimately, Willie will make a decision with potentially dire consequences to both her relationship with Macon and the future of the center. Meanwhile, Luke is taken with a serious, as-yet-unnamed illness, and Willie will come to understand the power of unconditional love while facing the dark days of his death. Conley has written a piercing, deeply humane novel that explores the connections between family and friends and reaffirms the strength of the ties that bind. Meh. I found this book pretentious and predictable. Although the author had decent intentions, the story didn't grab me. The romance seemed to come out of nowhere with no buildup - there was no sexual tension between the characters. Basically I found that she really wanted to show off her knowledge of poetry. Dull read with not much to recommend it, and lacked closure in terms of the Indian students.